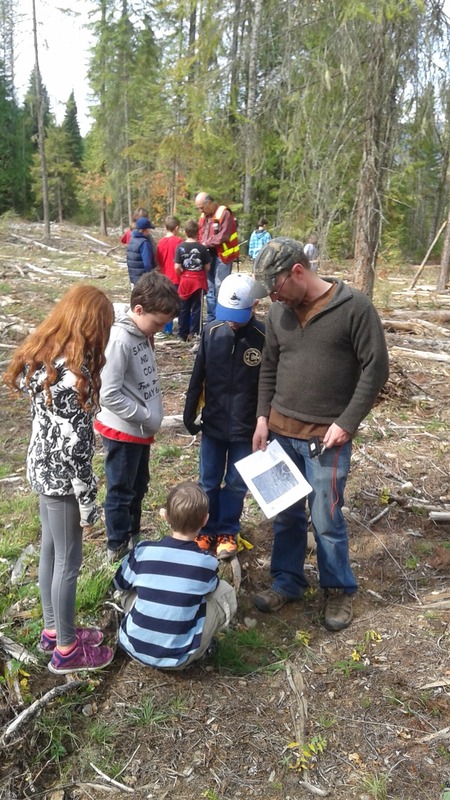 The Creston Community Forest enjoys providing educational opportunities to the community. Often this is done in the form of field trips for school group, including both primary and high school students. Below you will find information on some of the most recent trips! 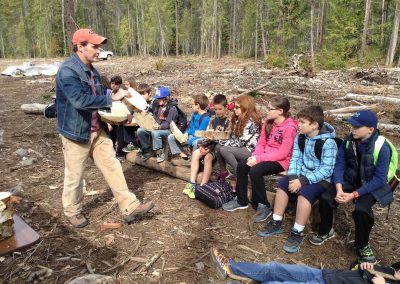 Each September, the Grade 5 students of the Creston Valley participate in field trip for National Forest Week, providing them with an opportunity to learn about the forest ecosystems and industry. 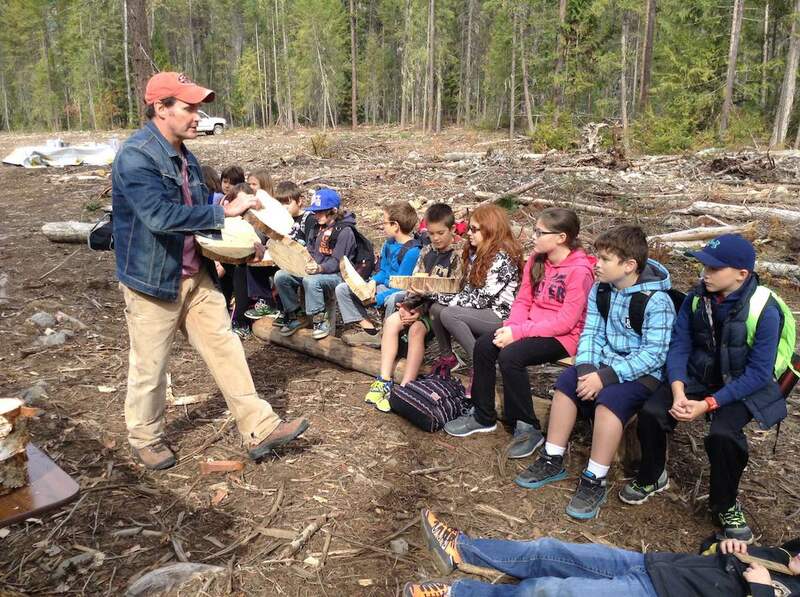 The event is hosted by the Creston Community Forest; approximately 80 -150 students attend, depending on the year. 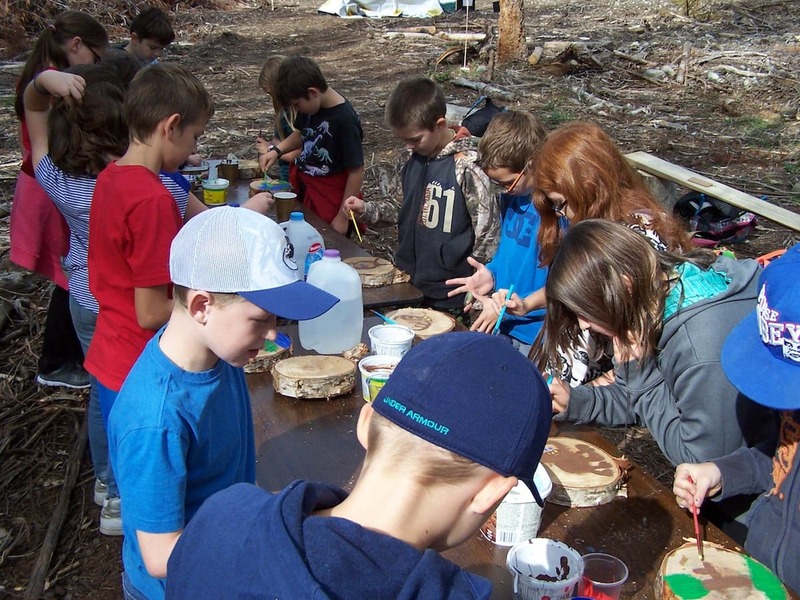 The students move through stations which include a biodiversity hike, wildfire protection, compassing, wood cookie painting and tree identification. 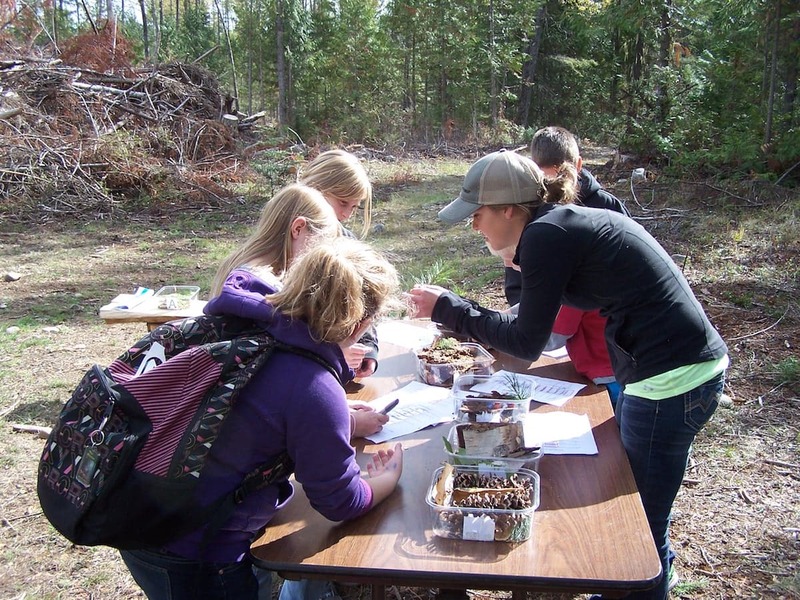 The biodiversity hike provides students with insight as to why biodiversity is so important to an ecosystem. 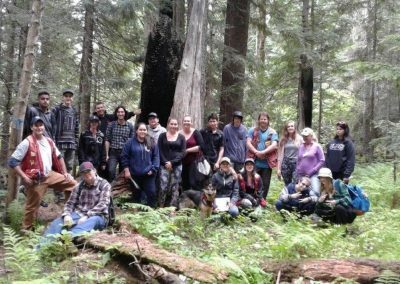 The hike has a creek crossing, a wide variety of plants and big, old cedar shells to stand in! 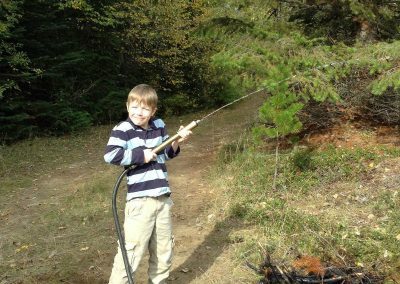 The wildfire protection station allows students to get the hands-on experience of fighting wildfire. 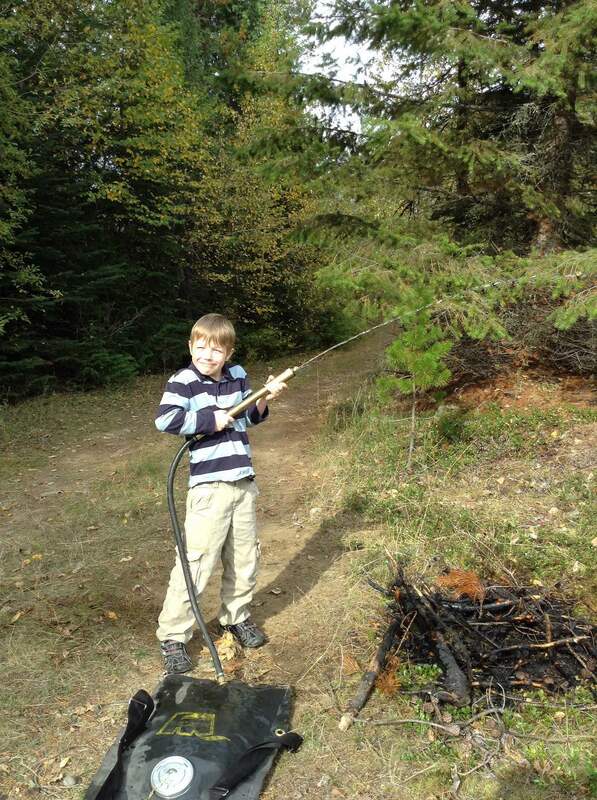 The students use tools and equipment to put out a fire. 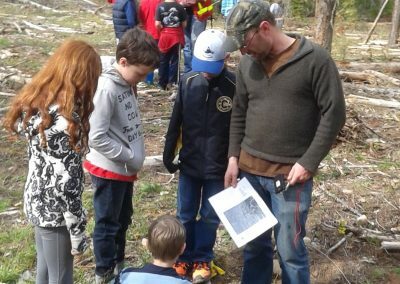 The compassing exercise shows students the importance of mapping in the forests industry, allowing them to locate where they are and how they would get to the final destination. The wood cookie painting gives students an opportunity to get creative and paint a scene showing why forests are important to them. 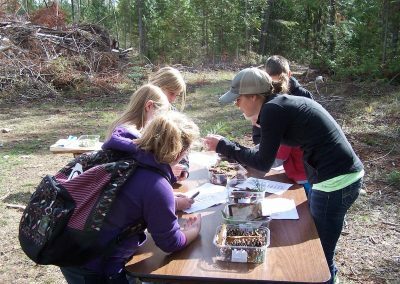 The tree identification station allows students to learn about the different tree species in our area and how to differentiate them from one another. The day also includes a hotdog lunch! 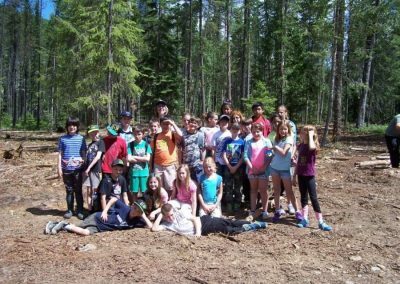 Grade 4 students attended a field trip. 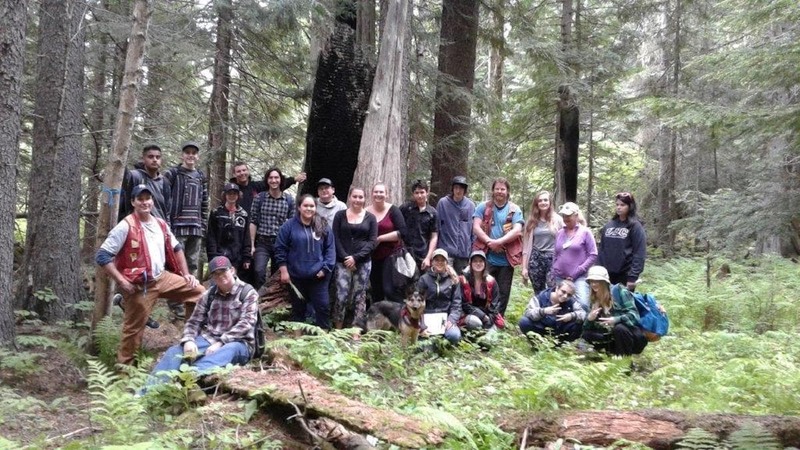 Grade 11 and 12 forestry students on a field trip hosted by the Community Forest. 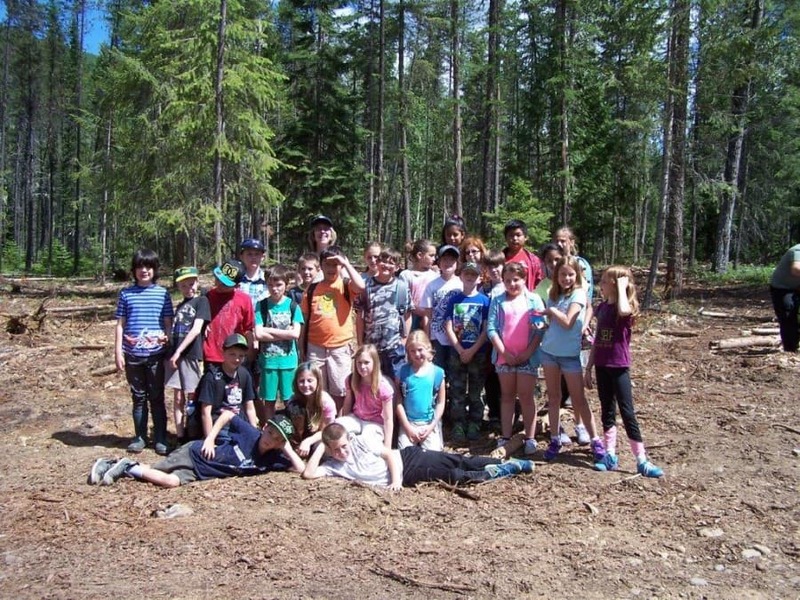 Copyright © Creston Valley Forest Corporation. All Rights Reserved | Website design by Tag Design Co.